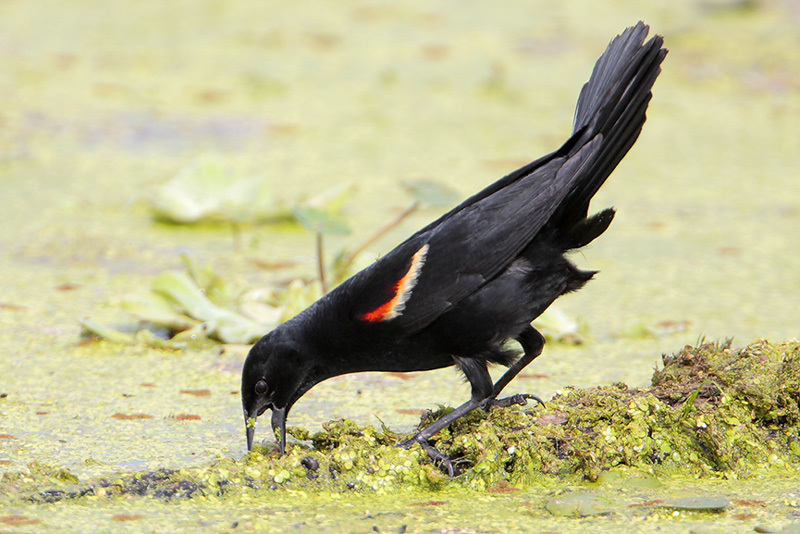 One male Red-winged Blackbird’s marshland territory may include five—or even as many as fifteen—nesting females. And he makes an effort to mate with every one of them. Biologists call this polygyny - when one male claims breeding rights with multiple females. But while this may look like the males are in charge, it’s actually the female that selects which male to breed with. A male Red-winged Blackbird sings loudly from his perch. The various perches he’ll choose will mark out his breeding territory. 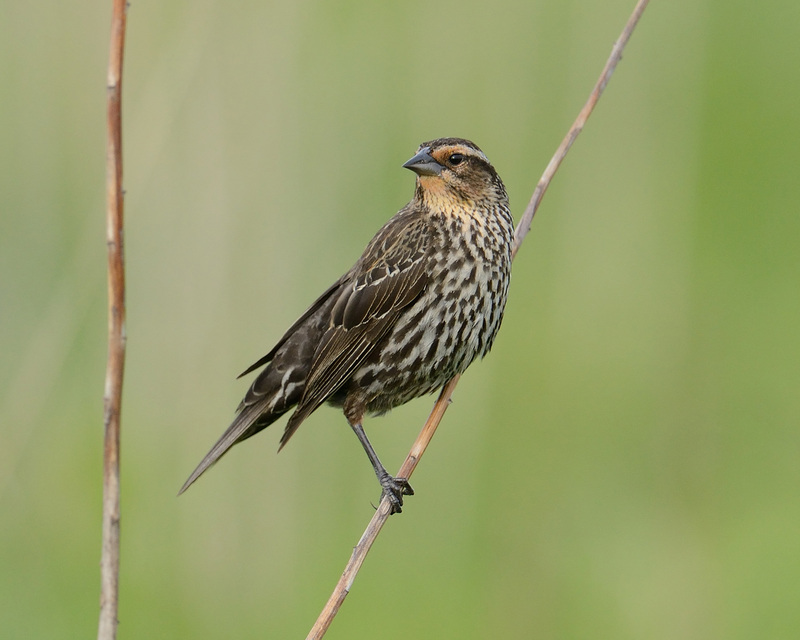 One male Red-winged Blackbird’s marshland territory may include five—or even as many as fifteen—nesting females. Biologists call this polygyny - when one male claims breeding rights with multiple females. And while this may look like the males are in charge… it’s actually the female that selects the male. For female blackbirds, polygyny holds adaptive advantages. A female’s selection of a male with multiple mates may reflect that male's superior genetics and his ability to defend more territory. But choosing a territory doesn’t restrict a female’s options. She can, and often does, solicit other males. By doing so, she may gain a greater variety of genes for her offspring — and may stimulate those males to help defend her nest. Find a photo of today's bird, and every day's bird, on FaceBook, Twitter, and Instagram — plus videos and more. Just search for BirdNote. Bird sounds provided by The Macaulay Library of Natural Sounds at the Cornell Lab of Ornithology, Ithaca, New York. Recorded by Dave Slager.